We offer a free initial consultation to better understand your needs, customize a plan to meet them, and answer any questions you might have. Because Wordsmith coaches are spread strategically across the Southland, we can come to you! We are available to meet in any public setting, and possibly in your own home. Or meet us at our office to take advantage of our 18-foot long whiteboard. If we must drive to meet you, our travel fee is $0.50 per driving mile, one way, rounded to the nearest half mile. We use Google Maps to calculate that distance, so you can too. We are even happier to waive this travel fee if we can meet you within biking distance! Call, Text, or Email us to get started! Nic Nelson has a bizarre love for the bizarre language of English— its twists and turns, its nooks and crannies, its etymology and linguistic structures, its clarity, vitality, and power. Nic has taught creative and academic writing to children, teens, and adults for many years, focusing mostly on graduate and doctoral students. He has been a dissertation coach since 2004 and has led seminars on academic reading and writing, self-publishing, article-writing, rhetoric, exegesis, servant leadership, ideational leadership, and maximizing human capacity. Kathryn Nelson is a wise and creative educator with more than two decades of elementary and junior high experience. She has also worked with adults in continuing education, counseling, and mentoring contexts, and developed and taught teacher-training curriculum for teachers in Zambia, and ESL curriculum for Syrian refugee families here in Southern California. She enriches Wordsmith Writing Coaches with her vast experience and a dedication to individualized instruction. Tanya is a Los Angeles native who loves people and coffee. A Pepperdine University alumni with a degree in Public Relations, Tanya is now a freelance web designer and aspires to be a public relations consultant for non-profits. She has worked on PR and social media campaigns for numerous organizations including World Impact Inc., and the Ventura Center for Dispute Settlement. Her creativity inspires her unique edge in design. She is a passionate young woman who wants to make a positive social impact in the world! I have worked with Nic for several years now, and have found him a patient, helpful, and very knowledgeable editor. Nic looks beyond the immediate story to improve overall composition and content. I highly recommend him to you as a valuable resource." Kathryn is an amazing individual to work with. Her attention to detail is what sets her apart. She really helps you bring your point out there in its entirety, while being concise and eloquent. Would totally recommend!" Tanya has a way with words, and a way of illustrating and arranging them on a web page or magazine page, that we love. She is a cheerful blend of responsibility and enthusiasm and a delight to work with. Plus, she gets things done. I have been writing and editing all of my professional life, including time spent working on Capitol Hill (in Congress) as a legislative correspondent and legislative aide and for a prominent pollster. I have also worked as an editor for a national daily newspaper and as a writer for a renowned nonprofit run by Steven Spielberg and hosted a cable show in which I interviewed well-known authors. I hold a strong interest in world and public affairs and politics, take my work seriously, but I also try to maintain a balance in life by being active: I am a runner, dancer, and hiker. Ernest F. Johnson III is a graduate of Xavier University of Louisiana, where he majored in English and double minored in Biology and Political Science. While at Xavier he was a writing tutor for almost three years and became a published author. He was part of multiple seminars on campus that dealt with topics such as thesis construction, brainstorming, and fundamental grammar development. He believes that each person has the potential to become a phenomenal writer; however, in many cases, people discourage themselves because they believe writing is too difficult, or they don't know how to express themselves comprehensively. He makes it his mission to not only encourage those who do not believe in their ability, but also lead them towards their overall writing and life goals. Samuel Kelly is a freelance line editor, copy editor, and proofreader. Sam has earned a double BA in English and biblical and religious studies at Fresno Pacific University and an MA in Theology at Fuller Theological Seminary, where he continues to support graduate students with editing expertise. 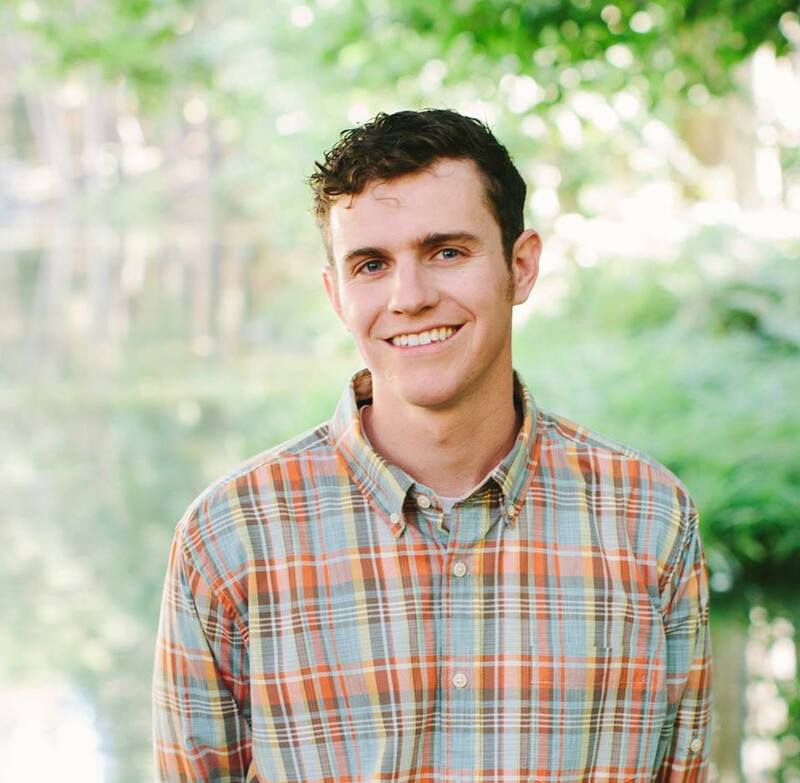 In addition to his work at Wordsmith, Sam does research for pastors and churches at Docent Research Group and teaches writing skills to middle school students at New Covenant Academy. Although Sam specializes in theological writing and biblical languages, his cross-disciplinary curiosity and familiarity with multiple style manuals make him an ideal partner whatever your current project is. Sam blogs and does business at jotortittle.com.